The use of word “instant” (often abbreviated as “inst.”) is one of those things. “Instant” does not necessarily mean in the past. 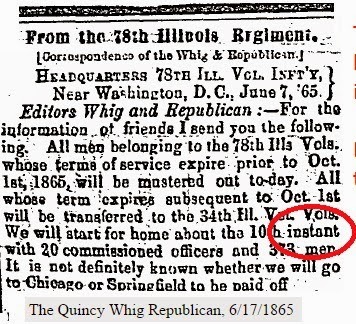 The 1865 newspaper reference indicated that the troops would start home on the “10th instant,” meaning the 10th of that month–in this case June. In this case the date being referred to was in the future. 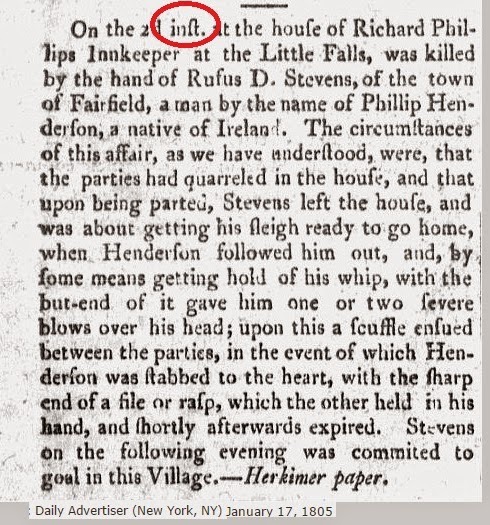 The 1805 reference “On the 2d inst.” indicated that the event referenced happened on the second of that month. In this case the event being referred to was in the past. But “instant” means the same month–usually the month in which the item was published. And that “instant” can be in future or in the past. Just as long as it’s in the same month. ← Needing Permission to Get Married? A “Fixit”. 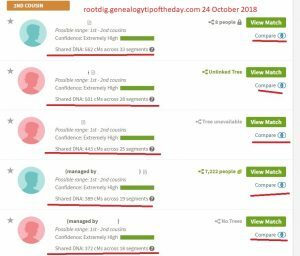 You used the same example both times. Thanks for catching that. I’ve fixed it. Thanks for the explanation of “instant.” I never fully understood the meaning of the word.